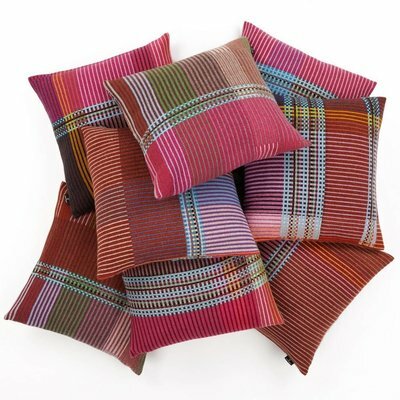 Wallace Sewell create a collection of cushions from a number of their lambswool, Shetland and chenille throws. 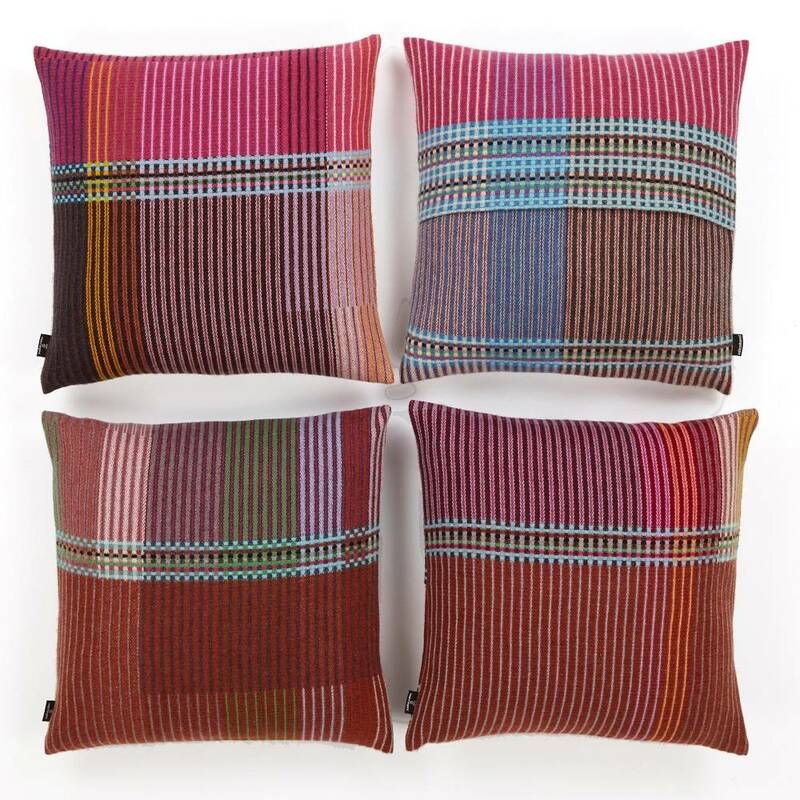 For the basket weave cushion, pixelated motifs contrast with tweed patterns. 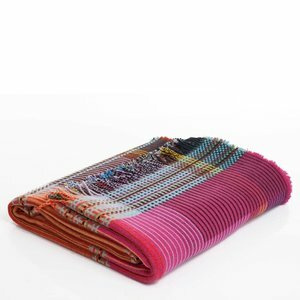 100% lambswool, duck feather insert, multi pink/rust colour Emmeline.